Specializing in the design, implementation and support of high performance USB networking solutions for today's intelligent devices. Belcarra's many years of expertise in Windows driver development, USB and networking can ensure successful integration with networking your USB Device to Microsoft Windows systems. Belcarra’s USB Composite Device Framework for Gumstix Verdex. 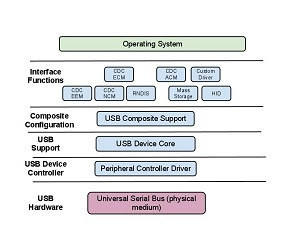 The USB Device Framework supports Composite configurations using a Composite Function Driver which selects and configures various Interface Function Drivers. 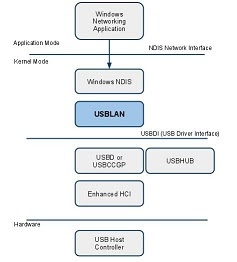 Belcarra USB Framework for TI OMAP 3430 environments - Belcarra’s USB Framework is USB Client toolkit, with sample deployments for Linux in a variety of hardware environments. Belcarra's products are recognized for their completeness and ease of use. A common remark after initial evaluation from prospective clients is "it just works!". - "Appreciate the great help I have had from your team" 3/14/13 G.J. - "We tested the demo driver and it worked quite well ......... thanks for your cooperation" 7/10/2011 P.J. -"I do mean it when I say that your support to us is first class" 10/22/2010 S.L. - "Thank you again for providing such clear explanations. ...I continue to be pleased and impressed with the support you guys provide. It is a real pleasure to work with you. "7/23/2010 A. DT. - "Regarding performance of the new driver, as is reported below, it seems to function without failure in all conditions." "...your efforts were more significant than you may have realized." 7/24/2008 P.B. Belcarra is proud to be a long time partner with Lineo. Their 20-years of experience with embedded device development and solid accomplishments as an embedded Linux pioneer, Lineo strongly boosts ubiquitous network era by providing sophisticated-and-robust software products and reliable services. Arcturus is a recognized leader in providing solutions that make product development easier and faster. From microprocessor modules to middleware and OS firmware, Arcturus has built a reputation delivering the building blocks that empower embedded products.